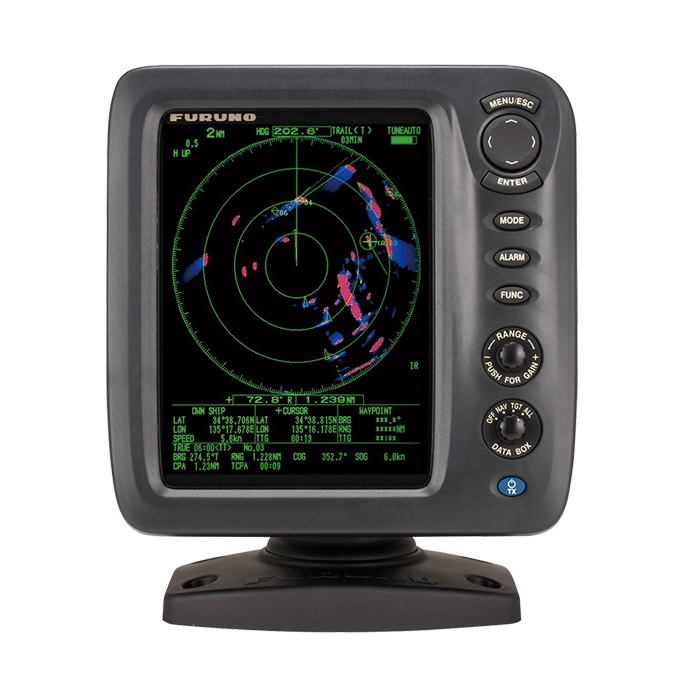 The Furuno 1815 is a standalone Radar package that features an 8.4” color LCD screen and stylish, low-profile 4kW radome antenna. 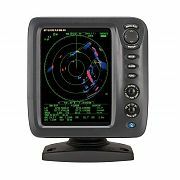 It is designed for a wide variety of vessels, including pleasure craft, workboats and small fishing boats that require an easy-to-use, true color Radar at an affordable price point.The unit allows you to select from several adjustable display colors to ensure that it can be viewed in a variety of conditions. The gimbal mount allows the display to swivel when desktop mounted, allowing the user to adjust the display angle for optimal viewing comfort. Overhead mounts are available for added flexibility or you can flush mount it with a simple 5” hole saw. The automatic gain reduction on the 1815 makes use of algorithms that have been refined over many decades of Furuno experience and innovation. This means the 1815 is second to none in clutter rejection. With no input from the user, this Radar will automatically eliminate unnecessary echoes and present a clear display image with every sweep of its antenna. This ensures that you will be able to acquire other vessels, buoys and objects on the sea surface in good weather, or when sudden fog and storms make the visibility poor. Other display modes include Off Center, allowing own ship's position to be shifted to a pre-registered point on screen, and Zoom, which will expand and display a selected target up to 2x in a zoom window. Furuno’s Fast Target Tracking (TT) function allows the user to manually or automatically track up to 10 targets. After selecting a target, it takes only seconds for a speed and course vector to be displayed, making quick work of determining the safety of approaching or moving targets. When using Furuno’s proprietary True Trail mode, moving objects will show a gradation of target trails in their wake, making it possible to gauge the movement of targets at-a-glance. Whenn connected to a Furuno AIS, up to 100 targets can be tracked and displayed on the screen, allowing the operator to instantly gather important information about other AIS-equipped vessels nearby. The 1815 also utilizes Furuno’s True View mode to make reading the display more intuitive. For example, when your vessel is turning, the echoes stay consistent on the display, so you can constantly see the targets on the screen, without waiting for them to update after the turn. This mode proves to be especially useful when you are turning to avoid hazardous targets.